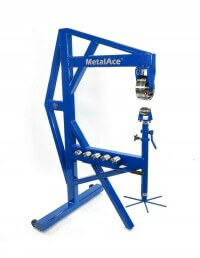 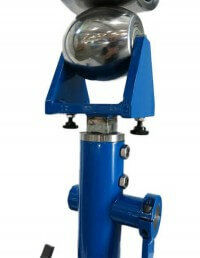 This is our latest machine suited for heavy metal forming and yet small enough to fit in those small shop environments. 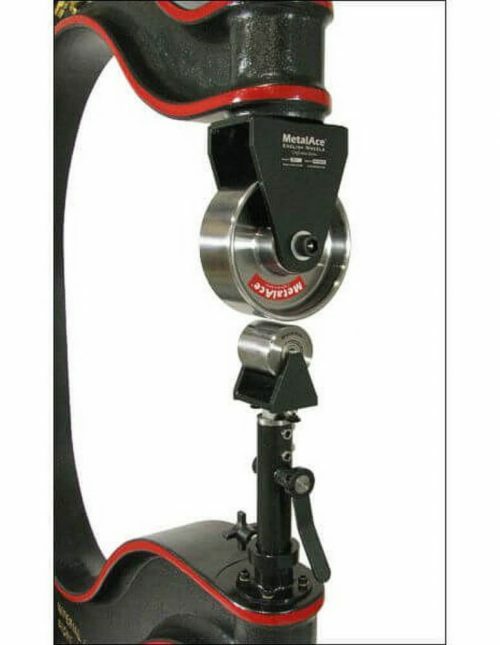 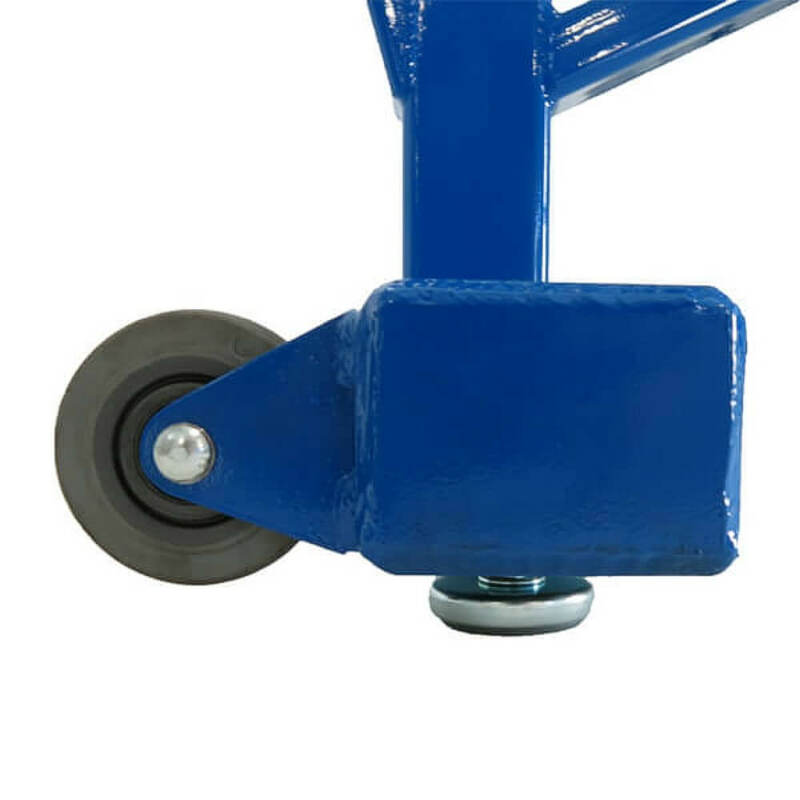 The 3-leg design includes rubber feet for a steady grip on all floors, but the retractable handle and tip-back casters move it around easily. 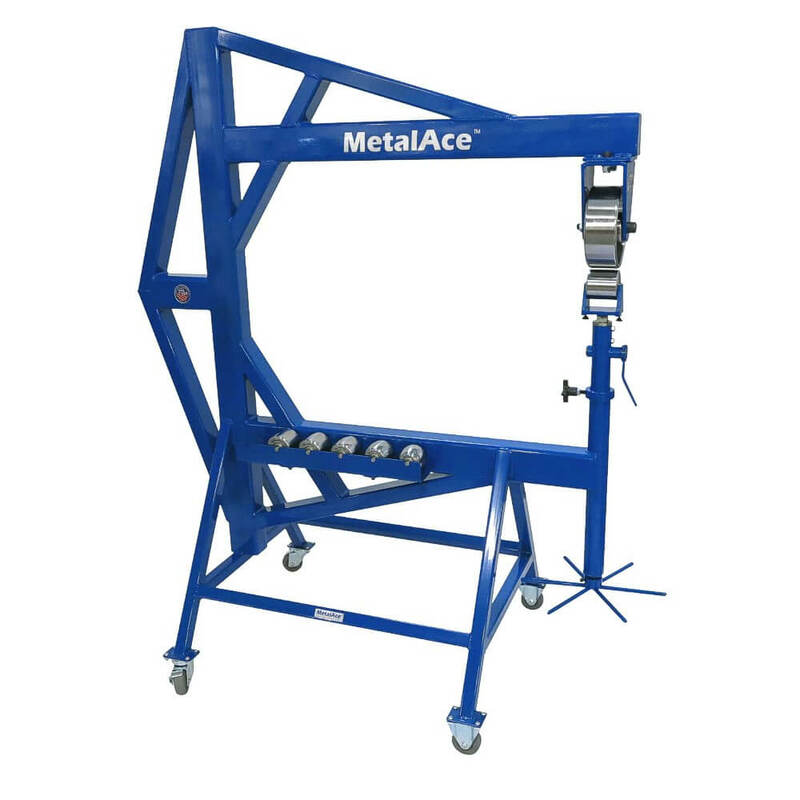 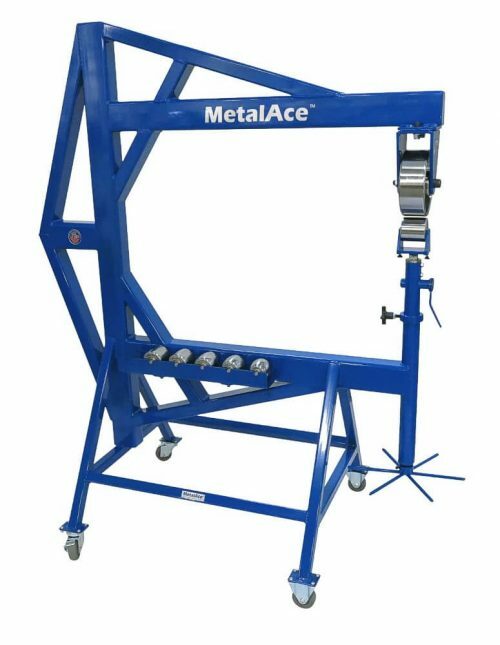 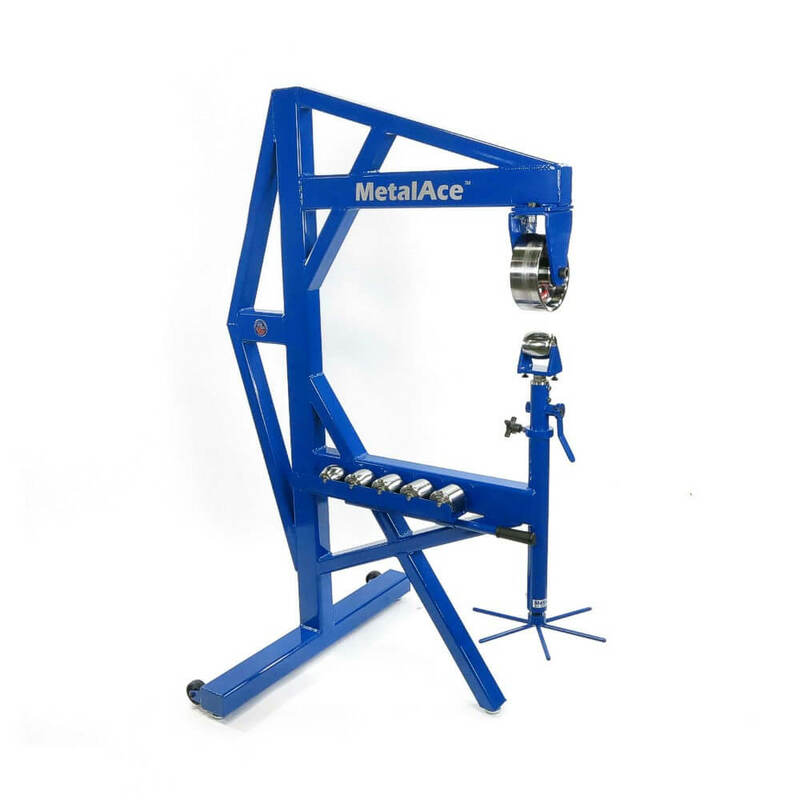 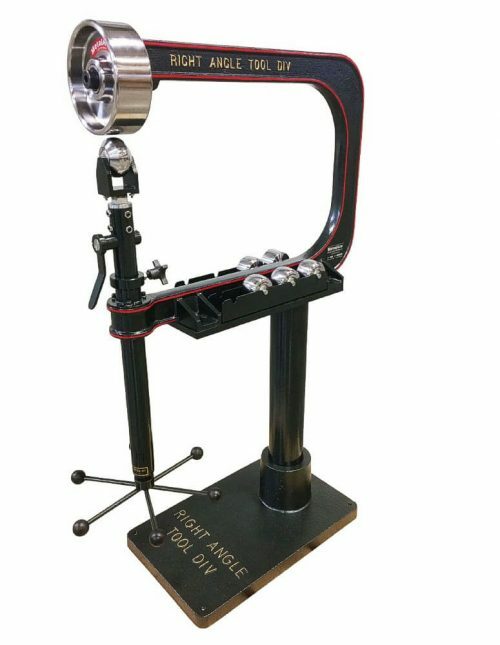 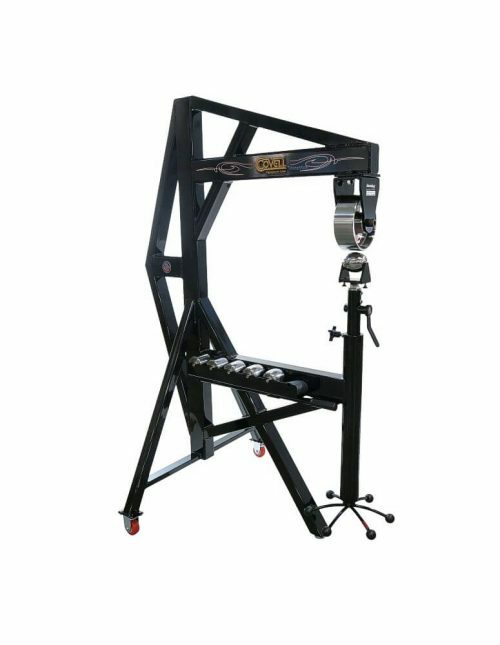 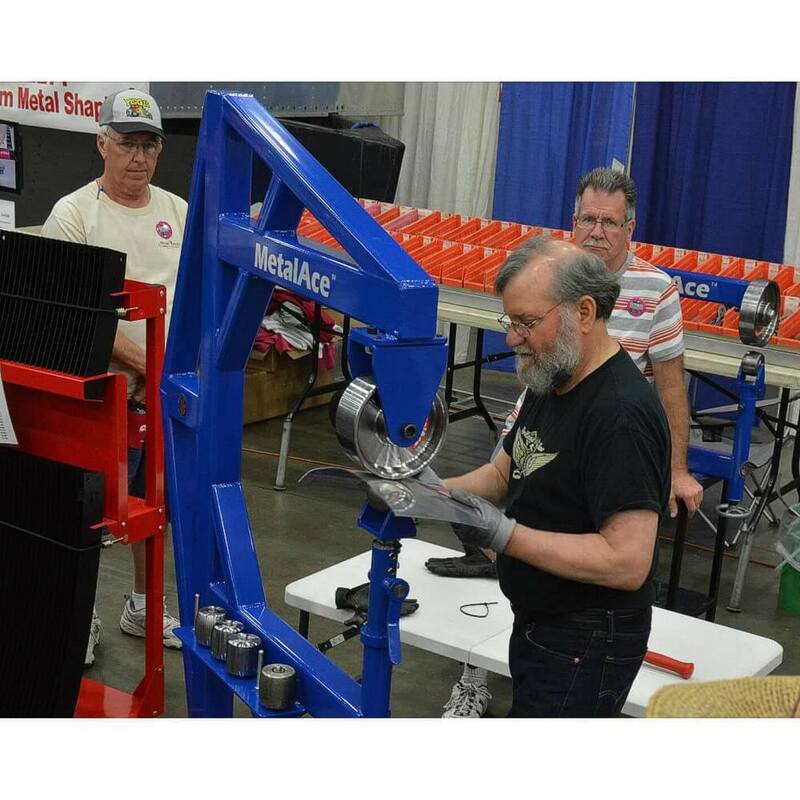 Plus the new design offers an anvil tray that holds each lower anvil with its own axle making this on-the-go metal forming machine perfect for racing needs, auto restoration, sculpture creation, hot-rod building and vintage aircraft restoration. 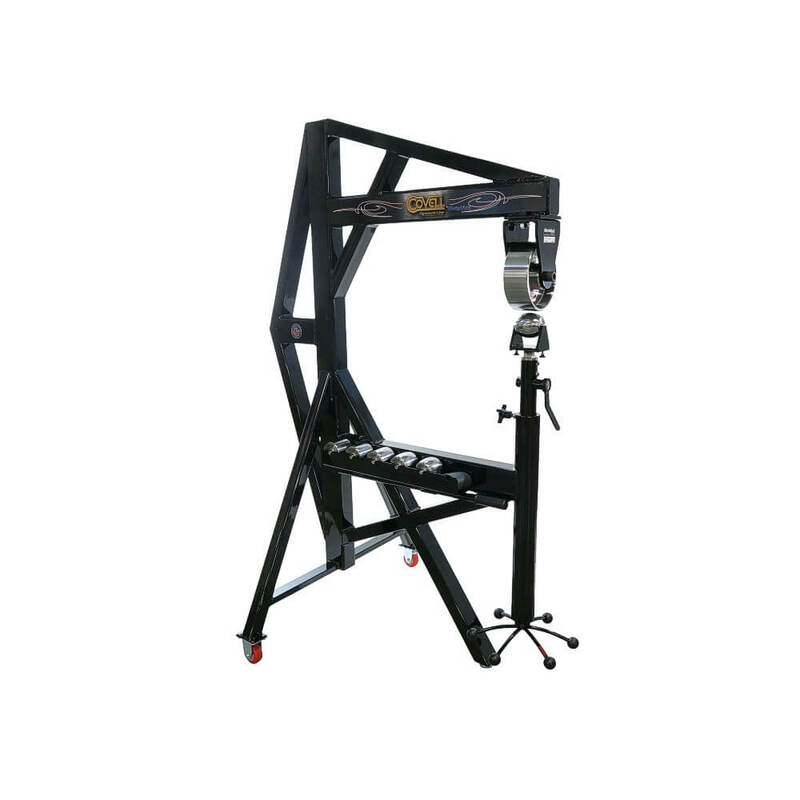 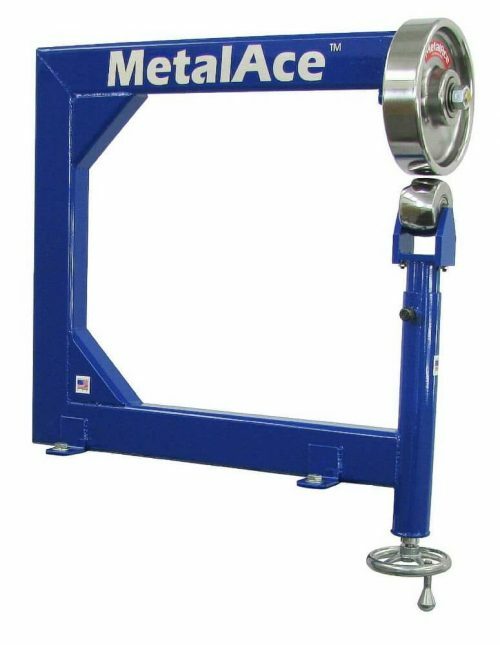 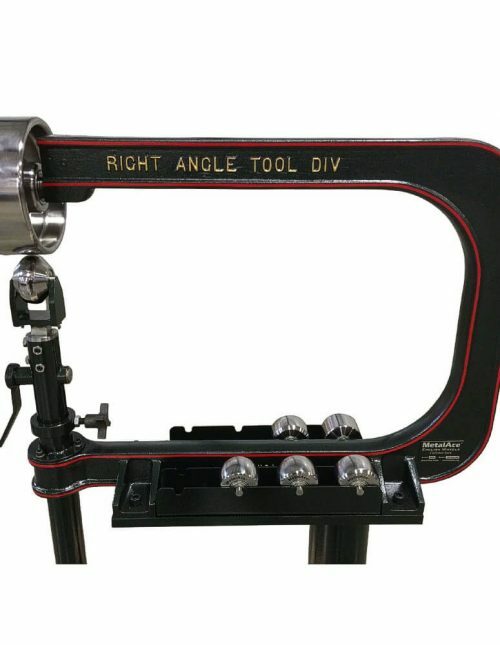 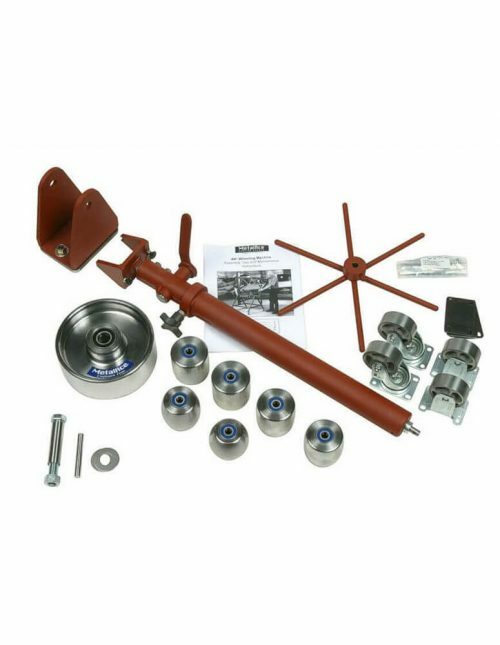 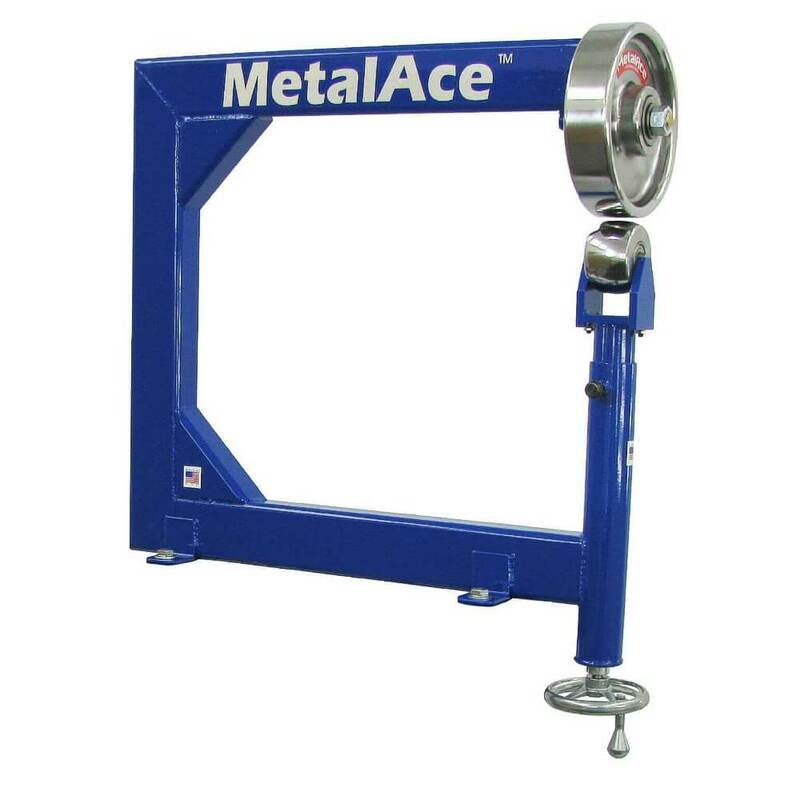 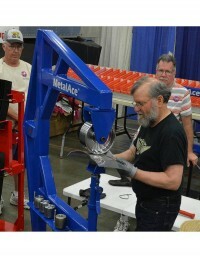 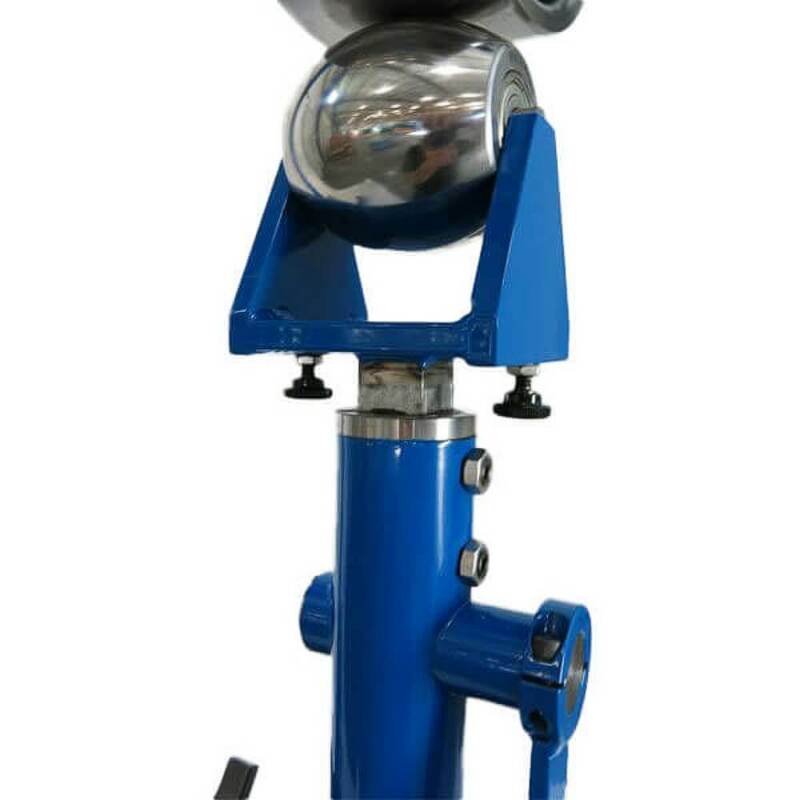 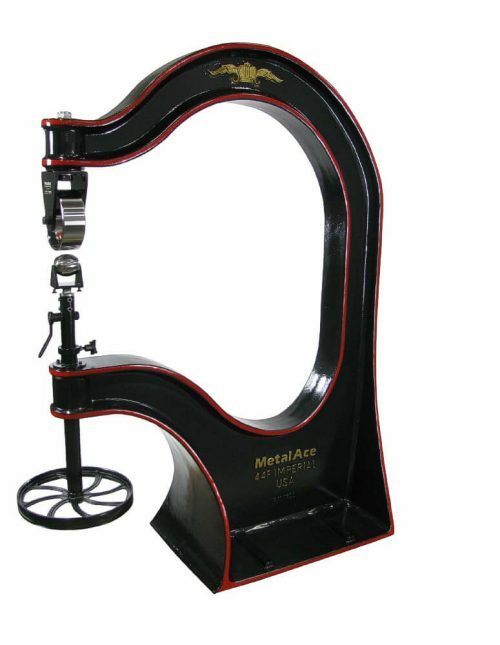 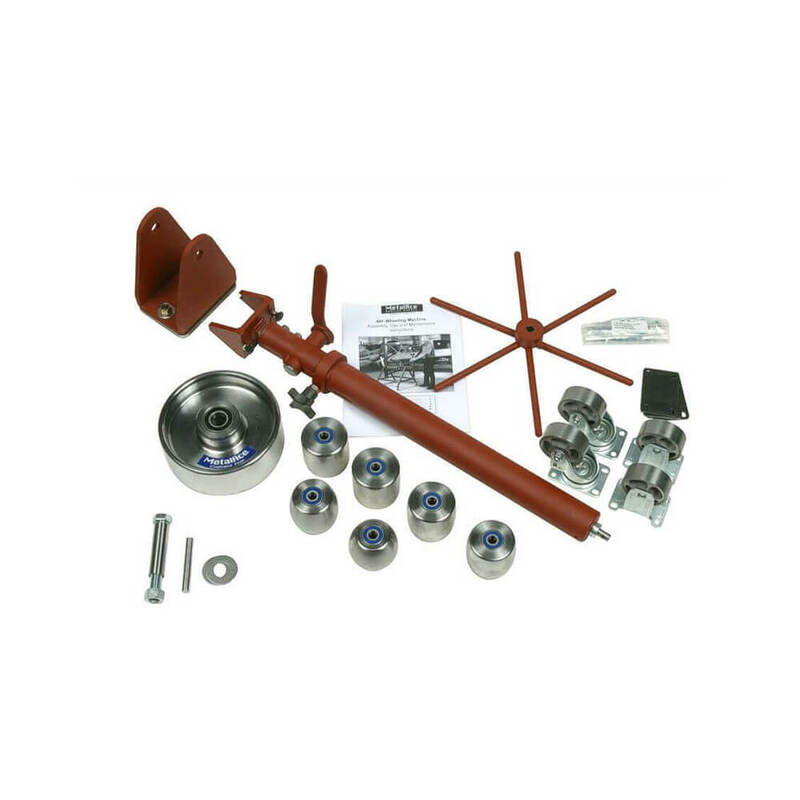 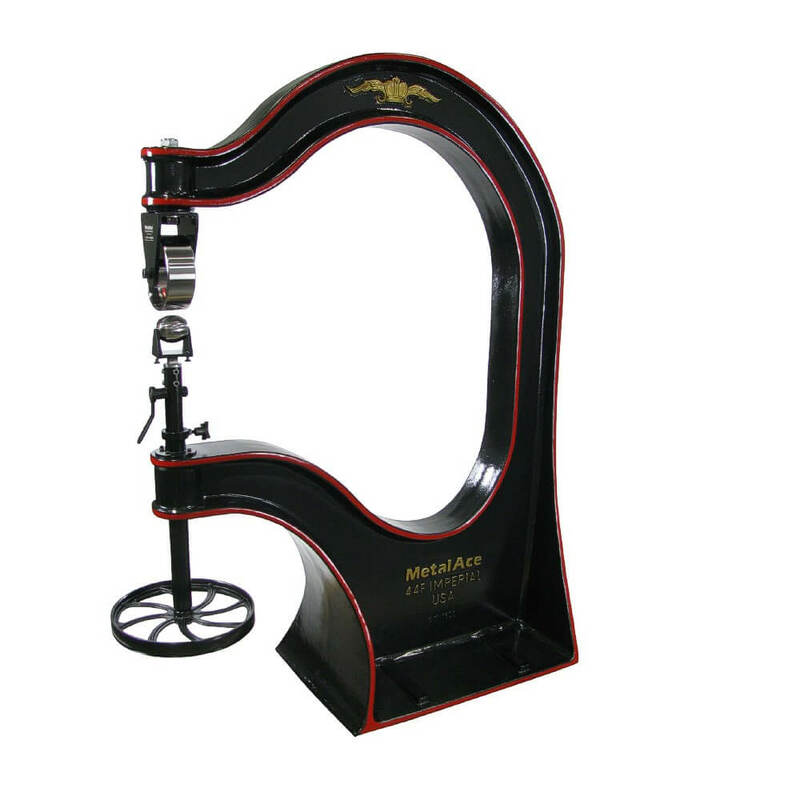 The tested and true jack mechanism allows the upper wheel and lower anvil to be “trued”, ensuring the wheels run perfectly parallel and provide equal pressure on the panel. 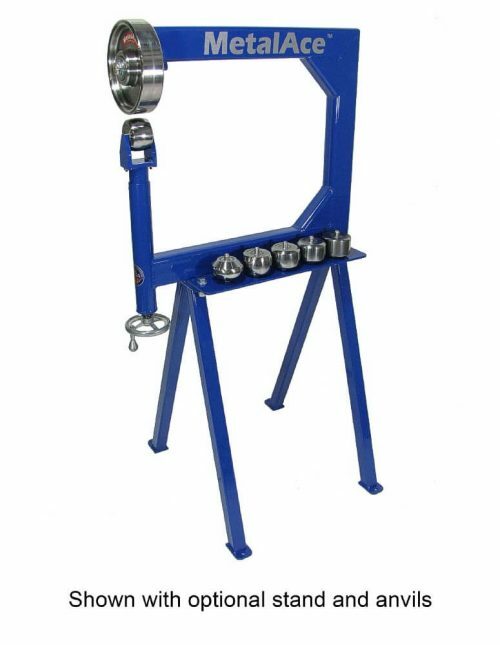 Quick-release anvil yoke gets your material in and out quickly and establishes the same pressure used before the work was checked. 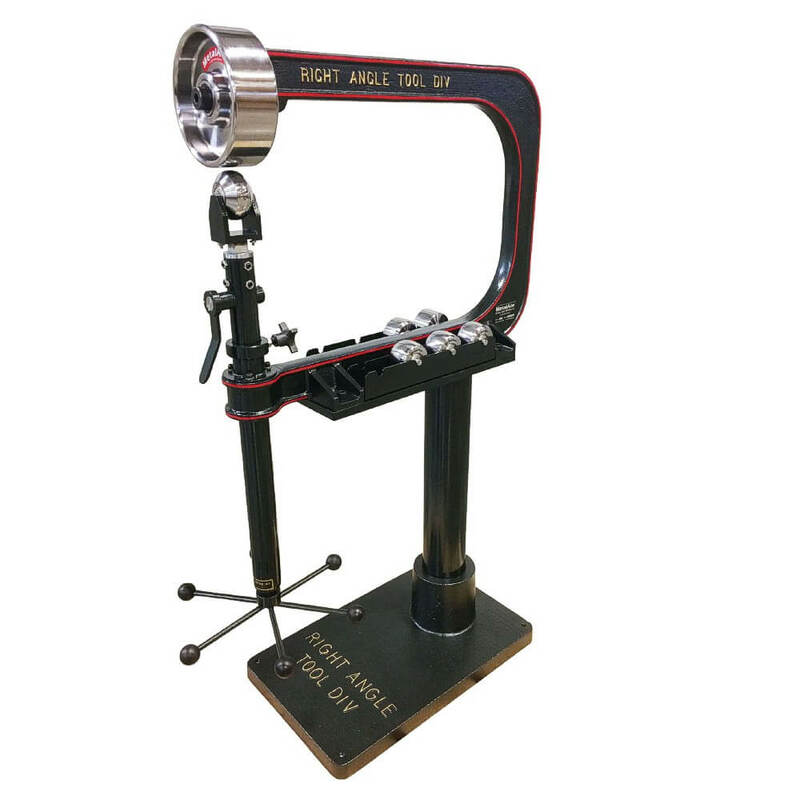 Built heavy using 3 x 4 x 1/4″ wall tubing! 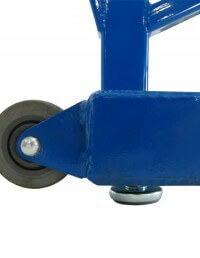 Powdercoated for extra durability and proudly made in the USA. 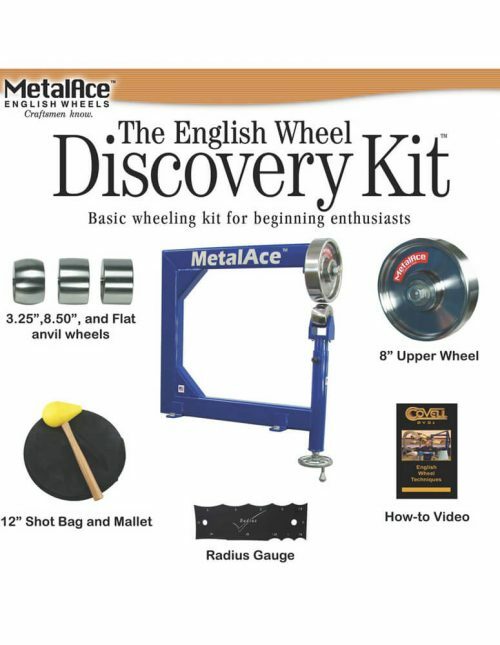 Includes our complete set of six 3″ wide x 3″ dia. 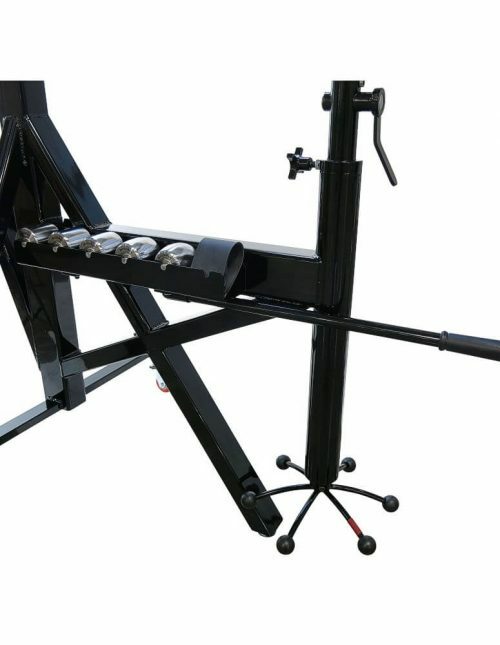 anvil wheels (2.50R, 3.75R, 6.00R, 12.00R, 24.00R, Flat) and an 8″ diameter upper wheel. 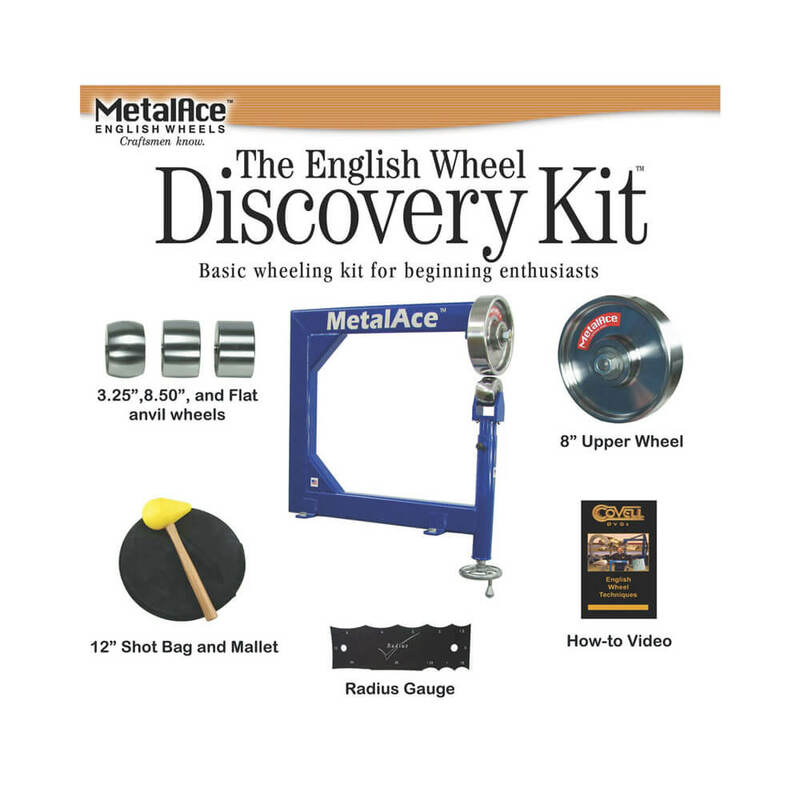 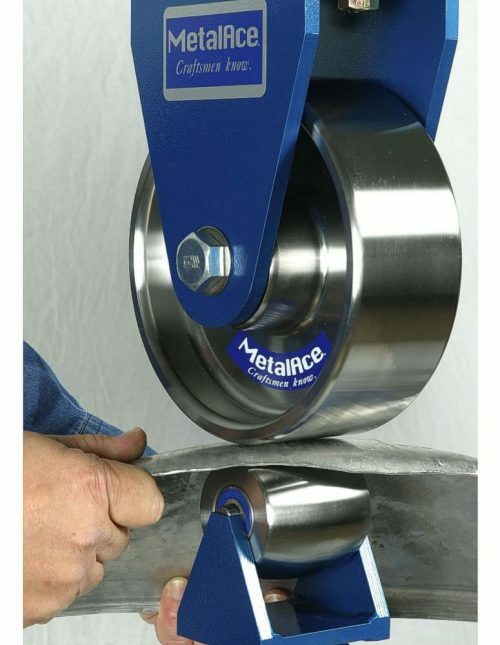 See Kits and Components for optional 2″ wide anvil wheels which add even more flexibility to this machine.